Instagram. It's been around but brands are just beginning to climb on board. Brands know they need it and yet many aren't entirely sure how to improve their social media game as competition stiffens with more and more brands joining Instagram daily. If your brand hasn't made successful strides on Instagram, chances are there are some critical elements you're missing. 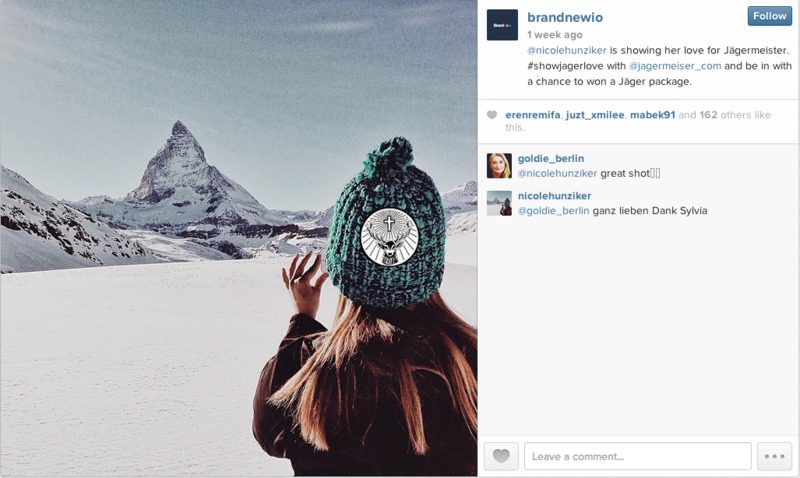 Here are 4 simple ways you can revive your brand's presence on Instagram. 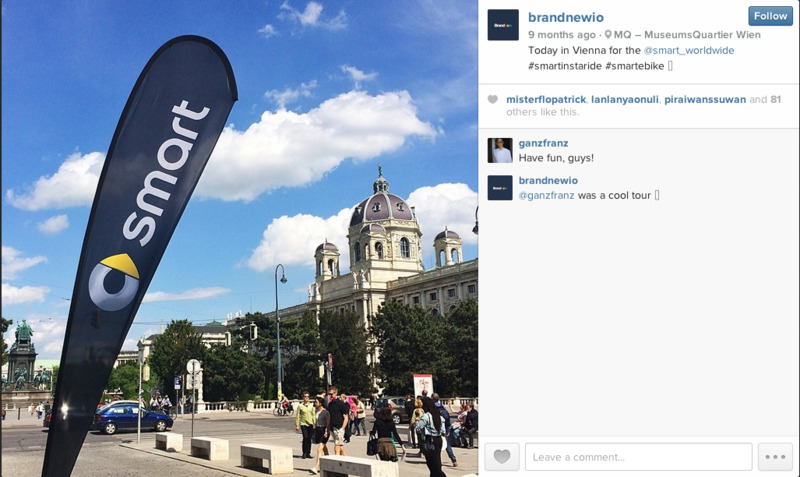 Most people don't follow brands on Instagram to see ads. 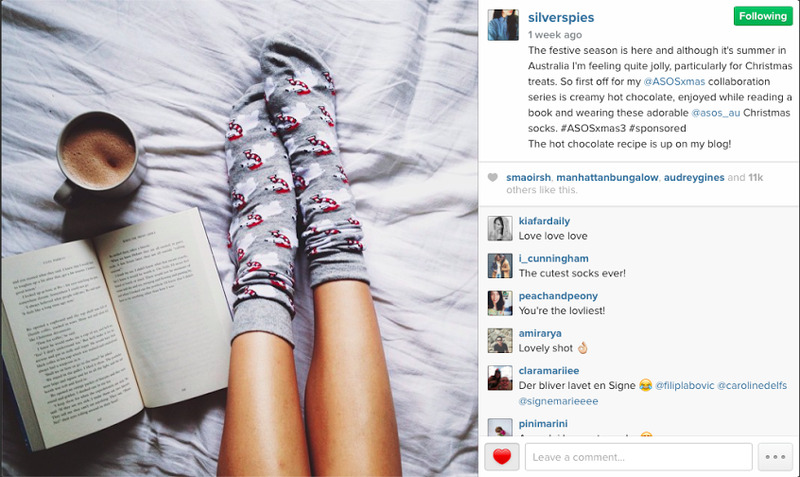 In fact, when Instagram introduced sponsored ads, users weren't very pleased. Most don't want to see explicit ads while browsing their photostream. It's distracting and looks like spam. Those who do choose follow brands on Instagram do so because they feel connected to the brand and want more insight into its personality and values. Far too often, brands miss this opportunity to develop a deeper relationship with consumers and expose them to behind the scenes, exclusive content they won't get anywhere else. A simple way to improve your brand's Instagram strategy is to let consumers in and showcase how your brand can be integrated into various consumer lifestyles. This can be done by capturing shots from various angles that give an introspective view of the brand, allowing consumers to relate and see themselves using its products. Another way to expose followers to your brand's values is through exposure to broader concepts not centrally focused on products. 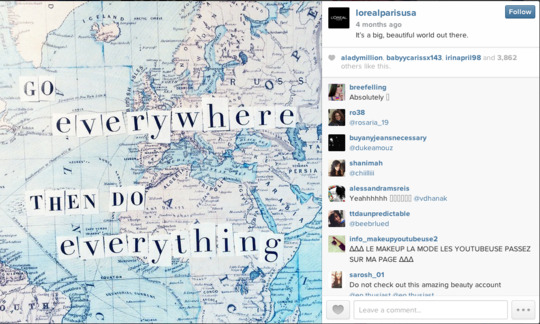 For example, in this post from L'Oreal, the brand reinforces its values and global appeal with an image that is not explicitly advertorial, but rather inspirational and relatable. 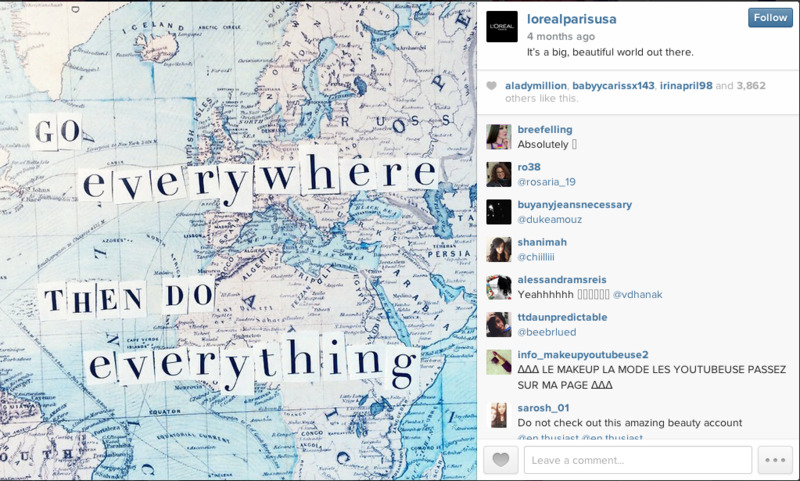 L'Oreal created a simple post that is both powerful and personal, in that it speaks to their audience and lets them know what's important to them beyond selling products. Relying on celebrity endorsements for your brand on Instagram is a bit counterintuitive. A platform that is literally driven by and created to engage the community should embrace its power players, not just appeal to them with ingenuous celebrity ads. Sure celebrities come with huge numbers of followers, but that is not a clear indication of their power to influence. Real influence comes from real people. The difference between celebrities and influencers is that influencers are everyday users who amass followers based on their organic use of brands, skillfully coupled with their unique personalities and relatable lifestyles, rather than celebrity popularity. Influencers do not advertise, instead they work with companies to help them market their brands with creative, relevant and original content for their users; and unlike celebrities, they have a strong, not so distant relationship with their followers, making them a powerful liaison between brand and consumer. One of these influencers, Michael Schultz (@berlinstragram), quit his day job so he could start working with brands full time. Schultz's focus is on travel, culture, and art around the world. He captures moments from his home city of Berlin as well as the places he discovers. 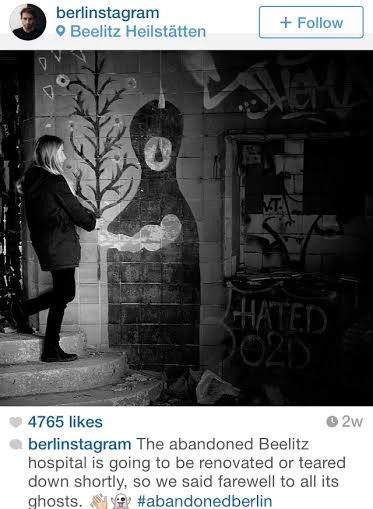 Schultz recently worked with Hotel Generator and created a photo campaign with the hashtag #WHILEINBETWEEN. The campaign asked followers to upload photos from their point of departure to their destination with the hashtag. The campaign gained a lot of participation, and soon thousands of users started to upload their own photos. Within a month, Hotel Generator gained 2,500 new followers. Instagram recently announced an update that enables videos to loop. Essentially, Instagram videos just became a little more Vine-like. Some might call this a small change, but it's actually a signifier of how important video will be to the Instagram community this year, particularly for brands. Marketing is all about creating a change in behavior and Instagram is an ideal tool for motivating consumers to action through strategic, yet organic engagement. As demonstrated by Schultz's photo campaign, a simple hashtag can create a popular trend among users and help increase the reputation of a brand. One of most effective means of motivating your audience to action is providing meaningful incentives like giveaways and exclusive prizes. It's nice to post cool photos, but to move beyond likes and comments, brands must give their followers a reason to engage. This isn't bribery, it's gratitude. Offering incentives shows followers that you value your relationship with them. It's also a great way to get your brand fans to test new products and give valuable feedback. Revitalizing your brand's Instagram profile boils down to how well you can keep your audience engaged. All elements: visually compelling content, quality influencers and incentives must work together to build a brand profile that will strengthen your relationship with current customers and attract new ones. This guest article was written by Francis Trapp, CEO of Brandnew IO.